LOCATION & BEST $$$ per sqft*Enjoy the privacy of your 45’x26′ deck in this beautiful turnkey home nestled on a greenbelt cal-de-sac lot. Spacious 4 bedroom wired for sound & media + 3 additional living spaces. No carpet down. Brand new wood laminate flooring, gas log fireplace, Nest & Ring doorbell. Granite counters, travertine backsplash & SS appliances. Upgraded cabinetry w/ freshly painted ceilings, walls, doors, trim, crown molding. Ceiling fans & closets galore. Easy access to schools & shopping. 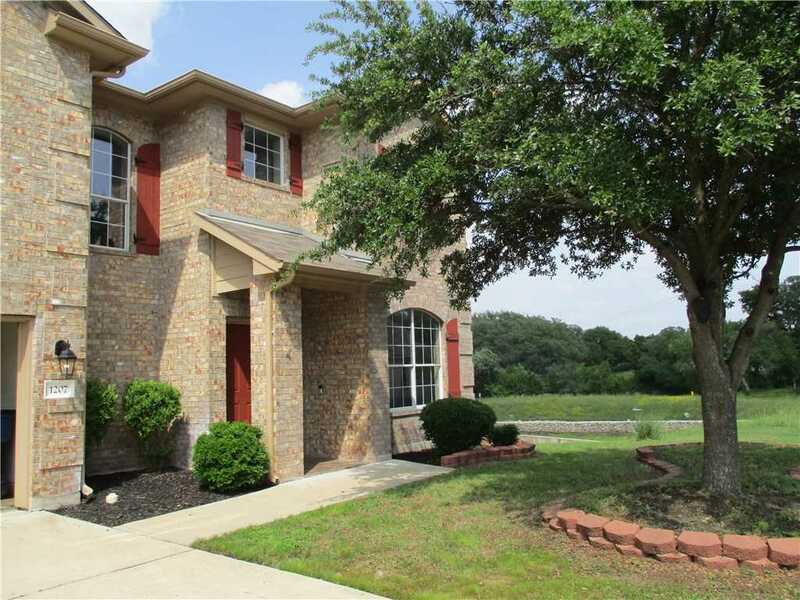 Please, send me more information on this property: MLS# 1283841 – $319,999 – 1207 Calistoga Dr, Leander, TX 78641. I would like to schedule a showing appointment for this property: MLS# 1283841 – $319,999 – 1207 Calistoga Dr, Leander, TX 78641.